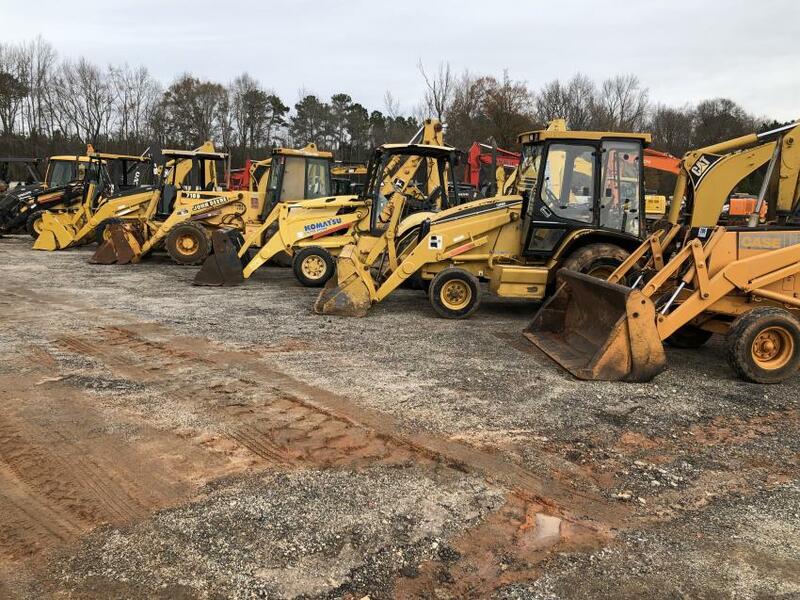 Jeff Martin Auctioneers held its annual two day Winter Construction Equipment & Truck Public Auction Dec. 12 and 13 at its permanent auction facility in Pelzer, S.C. 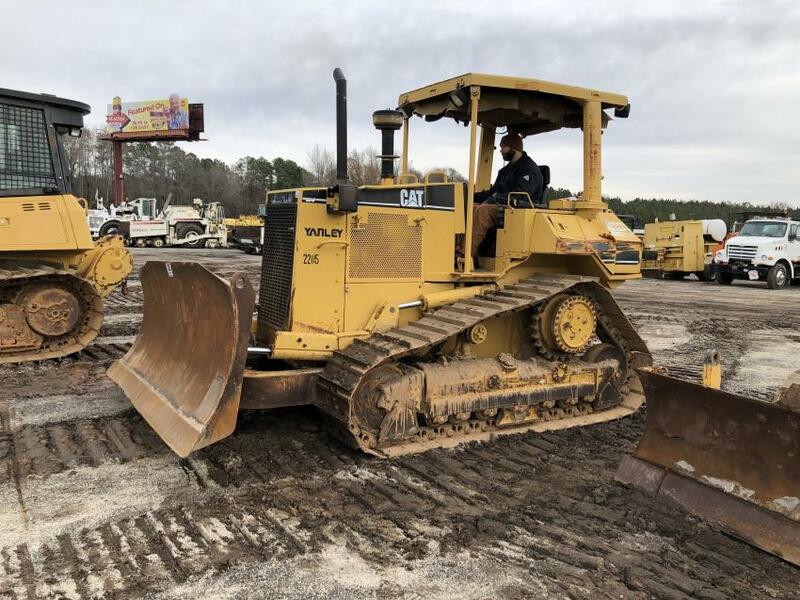 The auction featured many types of construction equipment dump trucks, attachments and more. The bidders, both live and online, came from across the United States and a few foreign countries. 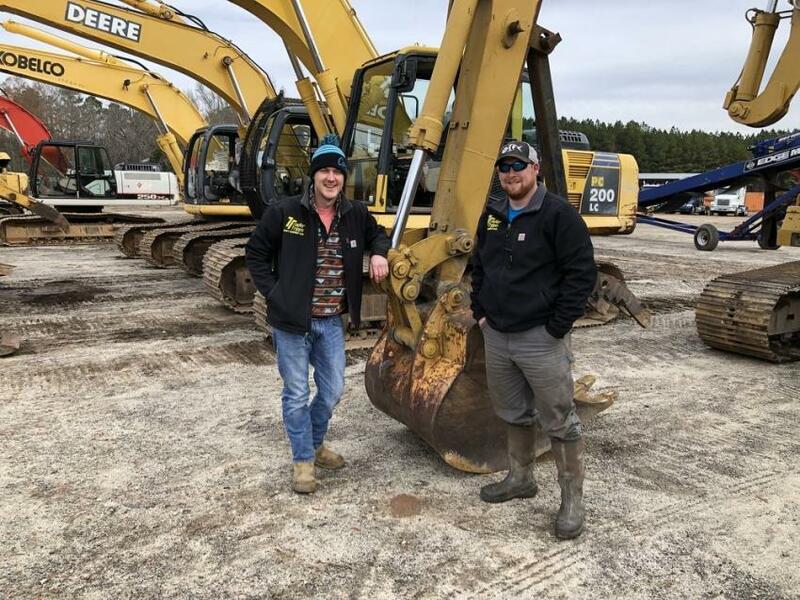 Looking over the excavators are Tripp (L) and Alex Myers, Trader Tripp’s Equipment in Lexington, N.C.
A trailer full of seven Wacker Neuson trench compactors was sold. 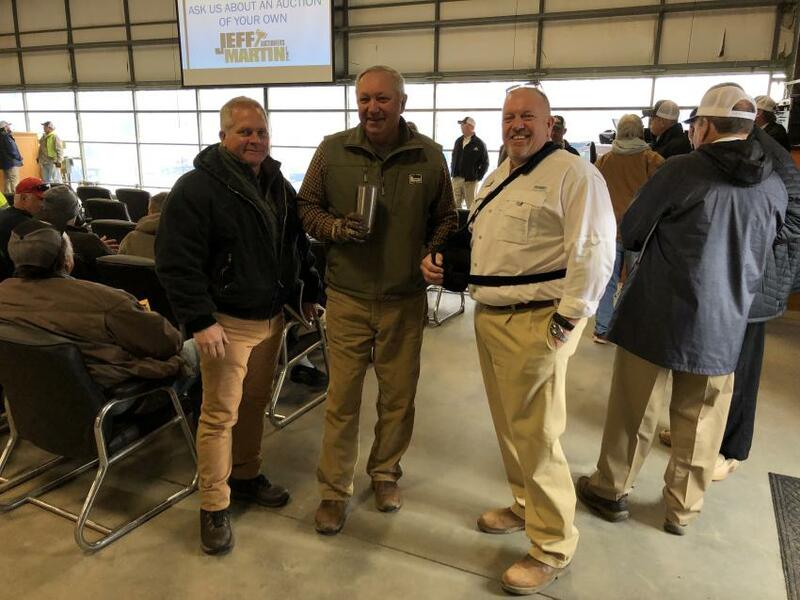 (L-R): Tom Carpenter, Carpenter Design Build, Rutherfordton, N.C., and Steve Sease, S&S Construction, Anderson, S.C., are welcomed by Jeff Martin. 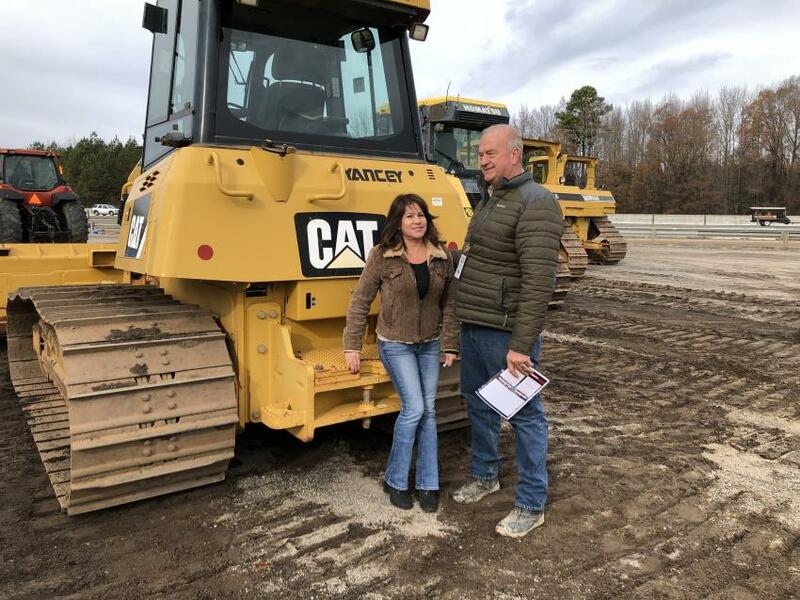 This contractor from South Georgia tested out a Cat D6 dozer. 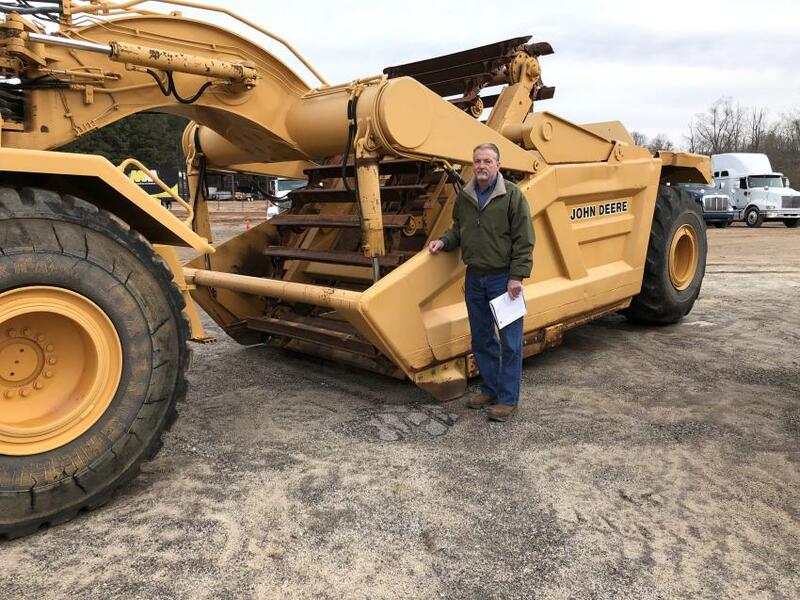 Rick Thain of Southern Quality Truck & Equipment in Lexington, S.C., inspected several pieces equipment including this John Deere 862 scraper. 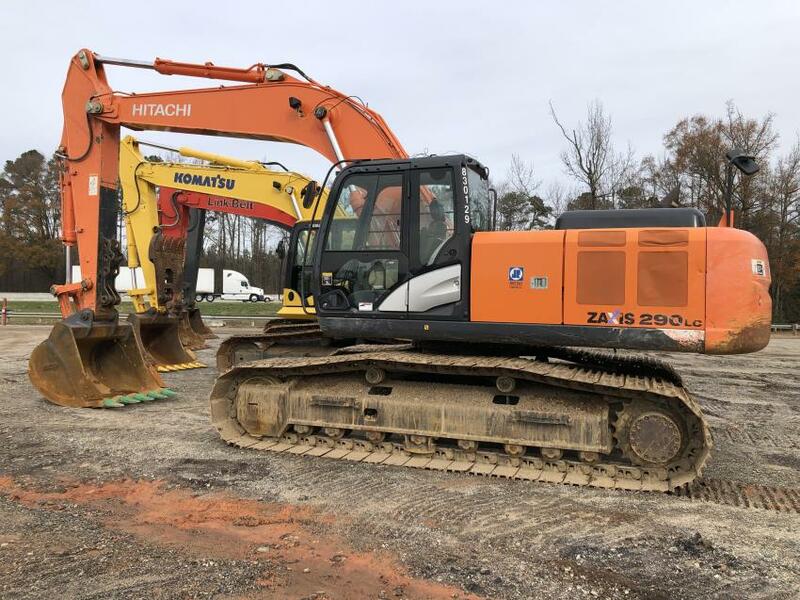 The auction included Hitachi, Komatsu, Link-Belt, Case and Cat excavators. 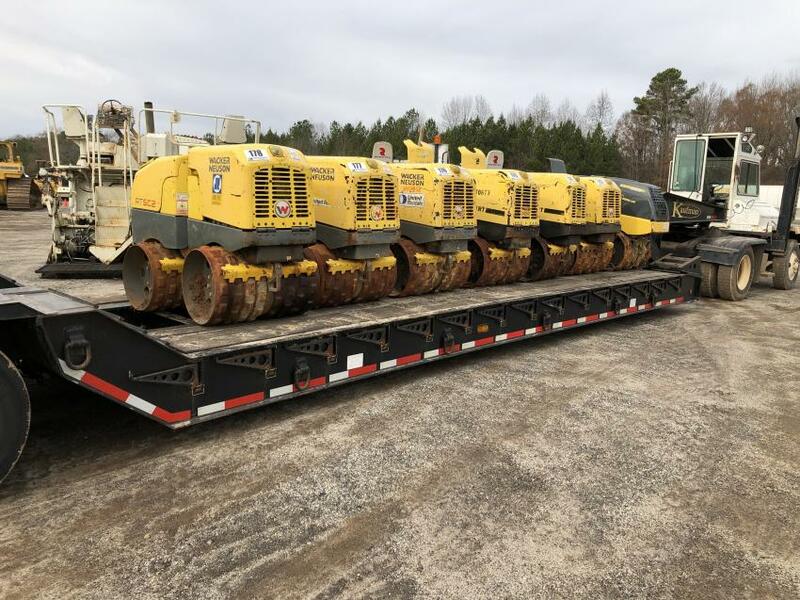 A wide assortment of backhoes was available. 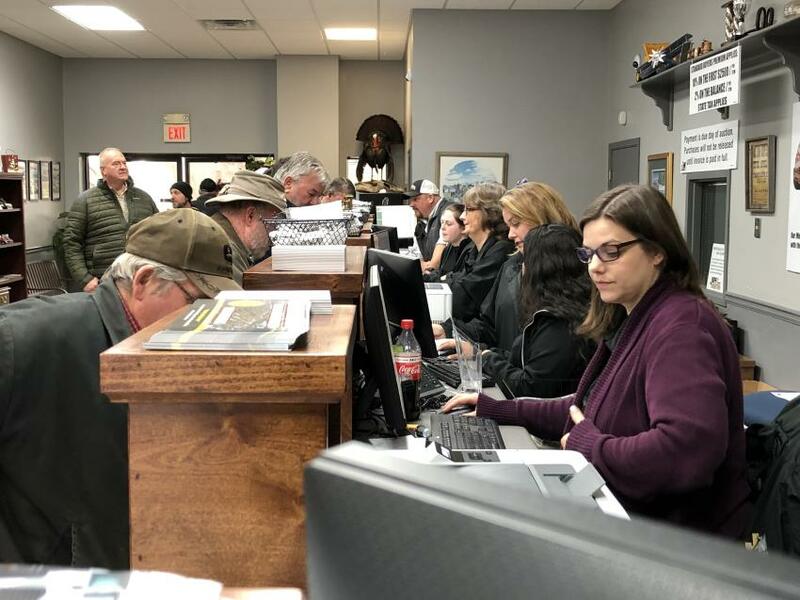 The Jeff Martin Auction company staff helped everyone get registered. 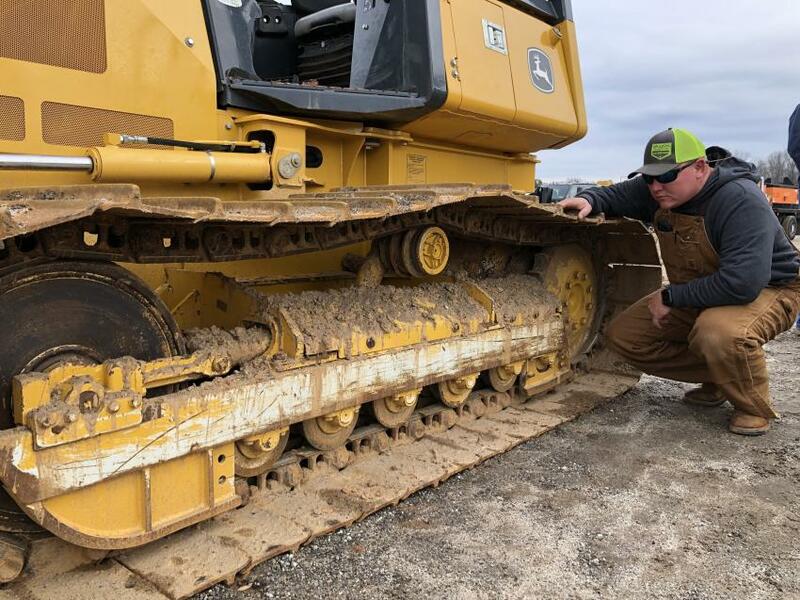 Looking over the selection of Cat and Komatsu dozers are Aurora and Miles Mauldin, Mauldin Excavating & Grading, Dawsonville, Ga.
Jeremy Peterson, Superior Grading, Greenville, S.C., looked over the John Deere undercarriage for excessive wear.